Home / 2018 / July / 10 / Ruined? The Spirit Catches You and You Fall Down recounts a conflict that occurred between a Hmong family and an American hospital regarding the treatment of a Hmong epileptic (in the eyes of the Western medical tradition) girl, Lia Lee. The author, Anne Fadiman, makes her best attempt to give both sides of the story. The American hospital believes in the Western medical practice that focuses on treating the particular parts of the body and its condition chemically or with surgery. Meanwhile, the Hmong medical practice, according to what Fadiman presents, understands illnesses in terms of the conditions of the souls or the spirits. For example, Hmong tradition understands what the Western tradition calls epilepsy as the condition in which one’s “soul [flees one’s] body and become lost” (Fadiman 20). Hmong medical practice treats illnesses through ceremonies and rituals (that are “unscientific” in the Western traditions’ eyes) that seek to bring the soul or the spirit back to a healthy condition. Because of these two radically different views, the opinions on how they should treat Lia conflicted as well. Along with the language barrier, there was a great deal of “cross-cultural misunderstanding” (Fadiman 262) regarding the treatment of the child. Fadiman thinks that “[Lia’s] life was ruined not by septic shock or noncompliant parents but by cross-cultural misunderstanding” (262). This statement seems plausible on the surface. However, I argue that Lia’s life was not “ruined” (262) in any way. Moreover, the fact that Fadiman thinks Lia’s life was “ruined” (262) reveals the cultural bias Fadiman herself holds. Throughout the book, Fadiman’s ethnocentrism and “moral hegemony” (261) surfaces through her word choices and presentation despite the effort to take a neutral stance on the issue. First of all, multiple doctors confirm that even if the cultural difference had been bridged, the outcome for Lia would have been the same. Terry Hutchison, the doctor who took care of Lia at Valley Children’s Hospital after she was transferred from MCMC (Merced Community Medical Center), states that “it was too late by the time she got to Valley Children’s” (255) and that “it was probably too late by the time she got to MCMC” (255). When Fadiman asks if “her parents’ past noncompliance have anything to do with it” (255, emphasis mine), he answers, “absolutely nothing” (255). He even admits that “by following [the doctors’] instructions, [the parents] set [Lia] up for septic shock” (255). In short, the parents’ “noncompliance” (255) had little to do with the outcome of Lia’s illness. Moreover, Hutchison agrees that her parents’ conviction that “maybe [the doctors] made a mistake by giving her the wrong medicine and made her hurt” (258) “may not be too far from the truth” (255). Western medical practice is by no means perfect, and it indeed may have “made [Lia] hurt” (258). The parents’ “noncompliance” that is partially caused by the cultural misunderstanding had “‘absolutely nothing’” (255) to do with the outcome. Furthermore, there is a possibility that the situation would have been worse had the parents complied. Neil and Peggy, the pair of doctors who took care of Lia as MCMC, also state that “[they] think that the results would have been the same” (294). It cannot quite be argued that the cross-cultural misunderstanding “ruined” (262) Lia’s life, since the outcome may very well have been the same even if the misunderstanding was resolved, or even worse. However, Fadiman seems to believe that the cross-cultural misunderstanding indeed “ruined” (242) Lia’s life. In her eighteenth chapter, “The Life or the Soul,” Fadiman recollects the conversation she had with an epidemiologist. She acknowledges that at the time she “romanticized Hmong more” (276) and “[lamented] the insensitivities of Western medicine” (276). Fadiman recounts how the epidemiologist told her sharply that “Western medicine saves lives” (276). She then lists how the Western medicine “saved [her father] from colon cancer, saved my husband and me from infertility” (276), and even goes on to say that it “might have saved Lia from brain damage . . . if [Lia] had swallowed her anticonvulsants from the start” (276). Despite Dr. Hutchison’s judgment, Fadiman seems to believe that if the cross-cultural understanding had been resolved and the parents had complied Lia’s life would not have been “ruined” (262). This conviction contradicts not only Dr. Hutchison’s judgment but also her own belief that “doctors endure medical school and residency in order to acquire knowledge that their patients do not have” (276), which establishes the doctors’ authority over the general population, and which includes Fadiman herself. 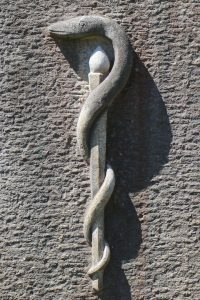 Therefore, it is a contradiction to hold a belief that goes against the doctor’s authority. Why does she hold this view? I argue that it is because of Fadiman’s own cultural bias. One of the cultural biases Fadiman seems to hold is the belief that Western medical practice is superior that of Hmong. She does her best to be as seemingly neutral as possible, but there are still a few instances where glimpses of the bias surface in the narrative. One is in her choice to use the words “compliance” (261) and “non-compliance” (261). In a conversation with Fadiman, Arthur Kleinman, “a psychiatrist and medical anthropologist who chairs the department of social medicine at Harvard Medical School” (260), suggests Fadiman “get rid of the term ‘noncompliance’”(261) because “it implies moral hegemony” (261). However, from the beginning of the book, Fadiman consistently and repeatedly uses the words “compliance” and “noncompliance.” Since Fadiman had this conversation with Kleinman before the book was published, it is her conscious decision to use the words “compliance” and “noncompliance”: this decision reveals that Fadiman thinks that Western medical tradition is superior to Hmong tradition, or at the very least that the words “compliance” and “noncompliance” do not imply “moral hegemony” (261) as Kleinman suggested. This choice of words is a strong indication of Fadiman’s bias, especially since it is extremely difficult to distinguish “noncompliance” from “cross-cultural misunderstanding” (262). Another interesting fact that reveals Fadiman’s bias is that she only mentions the parents’ “noncompliance” and not the hospitals’. Throughout the book Fadiman talks about the parents’ “noncompliance.” To “comply” (257) is to act or be in accordance with a wish or command. In this case, compliance would be the Hmong giving up their beliefs and “act[ing] in accordance with” Western tradition. It implies that Western tradition has the authority over the Hmong, and the Hmong are the ones who should be disciplined. On the other hand, Fadiman never speaks of compliance on the side of Western tradition. If Fadiman valued the two views equally and therefore considered the two sides equally responsible for the outcome, there would not be this imbalance on the idea of “noncompliance.” This imbalance around the idea of “noncompliance” and implied notion of responsibility reveals that, after all, Fadiman thinks that the Western medicine was right and the Hmong failed to follow their advice. The fact that Fadiman thinks that it “might have saved Lia from brain damage” (276) “if [Lia] had swallowed her anticonvulsants from the start” (276) also suggests her strong belief in the ability of Western medical practices. Even after Lia became vegetated, unlike “most white families” (214) who would “institutionalize [a vegetated] child in a second” (214), Foua and Nao Kao loved Lia not any less than before and took “a wonderful care” (214) of their daughter. Lia was “always well-groomed, well-dressed, and immaculate” (214). Although it is true that the parents are “sad” (218) that Lia is vegetated, Lia is still their beloved daughter and they “will take care of her with all [their] heart” (257). Foua and Nao Kao do not seem to think that only because Lia is vegetated her entire “life [is] ruined” (262). However, Fadiman seems to think otherwise and makes statements about how it was “ruined” (262) and how it could have been saved had the parents been compliant. I argue that behind these statements and views is the “moral hegemony” (261) that is implied in her conscious word choices of “compliance” (261) and “non-compliance” (261). Fadiman ultimately seems to believe that the Western medical practice has the authority over Hmong practice, and the Hmong are the ones who should “comply” (257). Even though Fadiman makes her best attempt to give the both sides of the story, there are cases where her ethnocentrism and “moral hegemony” (261) surface. One of the prime examples is the fact that she thinks “[Lia’s] life was ruined” (262). Maybe Fadiamn should have listened to Kleinman more carefully: “if you can’t see that your own culture has its own sets of interests, emotions and biases, how can you expect to deal successfully with someone else’s culture?” (261). Fadiman, Anne. The Spirit Catches You and You Fall Down. Farrar, Straus and Giroux, 2012.